As part of our Client Success series, this is the first of a two-part guide to unpacking and prioritizing standards like a pro. Have you ever looked at a standard—local, state, or national—and wondered, “What is this? And how am I going to teach it?” If so, you’re not alone! In the ever-changing world of which standards are we using this year? !, the work of learning and implementing new standards must often happen quickly. Implementing standards effectively requires teachers to dive deep into the standards to fully understand expectations and make them clear to students. “Unpacking” is a technique teachers can use to make sense of standards, and then create focused learning targets to make them actionable. This process, also called “deconstructing” or “unwrapping” standards, fosters a collaborative dialogue that supports growth and effectiveness. Craft your vision of mastery for specific standards. Align lesson plans and accompanying resources to that vision. As you teach and report progress, create student-friendly learning objectives to better communicate required skills to students and community stakeholders. So what does unpacking look like? Read on as we break down the unpacking process and go through a couple examples to help get you started. Identify what students need to know and what they need to do. We like to highlight nouns (content) in blue and verbs (skills) in green. Next, you’ll determine which concepts are content/knowledge targets, reasoning/cognitive targets, skill/performance targets, and product targets. The next step is to list the conceptual understandings that students discover during the learning process (the ah-ha! moments). To focus and guide classroom instruction and assessment, write open-ended questions to help stimulate student interest and make new connections. Think of this unpacking process as a journey with a destination in mind. The journey will include packing and preparation, travel arrangements, perhaps some new experiences, and ultimately an endpoint (student learning), which may very well begin a new journey. With the journey theme in mind, let’s use the analogy of planning a destination trip to help illustrate the process (it’s summertime, after all!). We’ll start with the learning target and break it down with Steps 1 and 2. Organize and plan for a trip to the beach. This breakdown of the familiar process of planning a trip makes sense: It provides clearly outlined steps and a better vision of the target after unpacking the original standard. Now let’s take a closer look at examples of Steps 1 through 4 with a more complex, real-world standard. For this demonstration, we’ll use a sixth grade English Language Arts national/state standard. We’ll start by highlighting the nouns (concepts) in green and the verbs (skills) in blue, just like we did in the destination trip example. Next, we’ll identify the types of targets the standard represents. You may benefit by using a graphic organizer like the one below. Identifying specific targets within a standard provides clear direction for instructional planning. It helps to not only focus on important content students should know, but also what skills they should develop. This is a critical balance that can easily get a little lopsided if there’s too much on content and not enough the skills. You’re halfway there! Determining Big Ideas is next, and it’s one of the most important parts of the learning process. This is where we help students to make connections and attach relevance to new information. We want student thinking to extend beyond fact retention, because, let’s face it, facts alone aren’t going to get you where you need to go unless you’re a contestant on Jeopardy! Presenting an argument with evidence is more persuasive than sharing an opinion. Unsupported claims can lead to an invalid argument. Identifying a claim supported with evidence is a skill applicable to all areas of life. These Big Ideas go beyond one standard, unit of study, or even a class. They are the key learnings that move with students to new targets, new applications, and new connections. In our opinion, the real fun begins in Step 4. As teachers, our favorite moments were those that allowed us to watch a student learn, grow in understanding, or have an ah-ha! Moment. Essential Questions can get you there every time! These questions are open-ended opportunities to stimulate interest, stretch thinking, make connections that haven’t been made before, and much more. They can be used at the beginning of the instruction on a learning target or during instruction to advance the thinking process. Why do we need to be able to recognize an argument that has support versus one that does not? When do we use argumentation in daily life? One important point to remember when using Essential Questions is to keep them truly open-ended. Craft questions to have more than one possible response or to generate discussion when different or conflicting ideas are presented. As teachers, our role in this process is to facilitate thinking and discussion, not to validate. Be wary of responding with, “I agree with you” or “That’s correct”; other students may not speak up if their thinking is different than the answer you’ve identified as “right”. Congrats! You’ve now gone through the unpacking process. By unpacking this standard, you now have a clear path forward. This process will enable you to plan effectively and ultimately save you time to focus on your students. Not only will you have a deeper understanding of the standards you teach, but your students will be more engaged in their learning. Sounds like a win-win for everyone! Be sure to check back in a few weeks for Part 2 of Unpacking Standards – Moving from Content Standards to Student-Friendly Learning Targets. We’ll explore priority standards and student-friendly “I Can” statements. MasteryConnect has Every Standard for Every State! Looking for solutions that support state or Common Core standards? Check out our FREE apps for educators or take a tour of the full MasteryConnect platform for school and district-level features. Whether you spend your summer days gearing up for next year’s lessons or getting out of Dodge with the fam, there’s an app to help you do it smarter. Here’s the list of apps we’re digging this season. Plan a road trip that would make Clark Griswald drool. The Roadtrippers app helps you discover the most interesting route to your destination, and points out a slew of awesome sites along the way. Layer your attraction bucket list with your travel preferences, and Roadtrippers will return a plan for the ultimate journey. 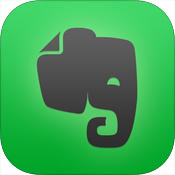 Evernote works across multiple platforms and devices and helps you manage all of kinds of tasks. Think of it like a digital notebook that you can access anywhere, anywhere. Clip webpages, create text notes, upload files and images, scan papers, receipts, and anything else you may lose track of. Teachers can use Evernote to create lesson plans and schedules, keep track of resources and ideas, and so much more. You can even create shared notebooks for students, colleagues, and parents. 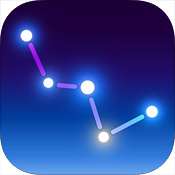 Spend summer nights stargazing with the Sky Guide, an award-winning, out-of-this world app that lets you explore the cosmos by holding your iPad or iPhone to the sky. Discover new constellations, teach your own kiddos about the stars, or just be amazed by the summer sky. 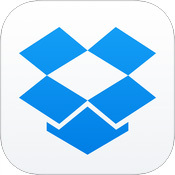 If you have a tendency to take your work home with you (ahem), then DropBox is essential. This cloud storage platform syncs across all of your devices, so you can work from your classroom, home, or summer beachside cabana. You can also use it as backup storage for your favorite vacation photos, your teaching blog, classroom resources, recipes, and more. Escape the sun by kicking back to watch a summer blockbuster in your local (and air-conditioned) theatre. 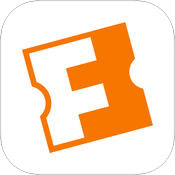 Check out showtimes, read reviews, and buy tickets right from your phone to bypass the box office line. You’ve probably heard the theory that it takes approximately 21 days to form or break a habit. So why not have an app that’ll help you build positive ones? For example, drinking enough water in between homeroom announcements and after-school tutoring programs. Summer’s a great time to embrace some good habits before another busy year. 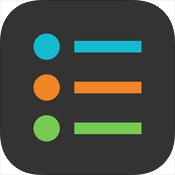 Productive-Habit Tracker helps you build any positive habit you can think, keeping track of your positive-habit ‘streaks’. With the arrival of summer, you’re probably looking forward to trading teaching days to beaching days. Use the PackPoint app to ensure you have everything you need for maximum R&R. This sleek tool will give you a complete packing list based on your destination, forecasted weather, length of stay, and vacation activities. 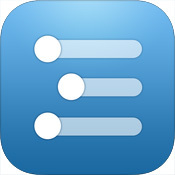 If you like to make lists, outlines, and strategic plans, WorkFlowy is your tool—perfect for planning for next year. It’s simple, clean, and intuitive. Use it to gather resources for next school year or plan the summer of destiny. Looking to boost your mood after year-end burnout?The Gratitude Journal may help you overcome those intermittent bouts of meh. 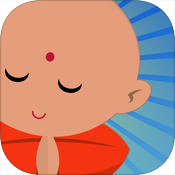 Use the app to track things you’re grateful for to develop an ‘attitude of gratitude’. If you find yourself getting easily distracted or procrastinating, Moosti may be for you. It’s a clean, simple web app that allows you to set a timer for a specified amount of time with scheduled breaks. Have some housework you want to get done in record time? Try ‘sprinting’ for 30 minutes through your task list, and then taking a 10-minute break. When your breaks over, do it again. Lesson planning to do? Do it in sprints, and use Moosti to help keep you motivated. For many, grocery shopping is one of the most dreaded task on their never-ending to-do list, especially when planning a summer campout or backyard BBQ. 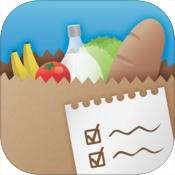 Make your shopping life easier with Grocery Pal. Keep track of all your needed grocery items, and then find which stores have the best sales and coupons to save a little moula. Less time wandering the aisles, more time doing whatever you want. Get a second-by-second countdown to the first bell of the next school year. This app will help you keep track of how many more days you have to plan the 2016-2017 curriculum–or count the remaining days you can sleep in past six. Summer is the primo time to catch up on your personal reading. 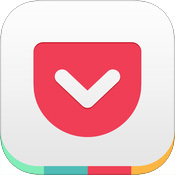 Pocket allows you keep track of articles and videos (like this one!) that you’ll want to peruse later–all in one place. Then share your top picks with friends. And if your summer vacation plans take you out of wi-fi range, no problem: You can view your saved items from any device sans internet. Before you set out into the great outdoors, be sure to snag this app that is worth the extra change. 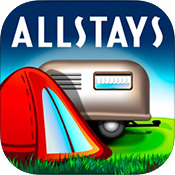 Camp & RV gives you a rundown on everything you need to know for roughing it, including 30,000 campgrounds, rest area locations, camper reviews, hikes, and more. Ready, set, adventure! Tell us about the apps you love for life both in and outside of the classroom on Facebook or Twitter! Have you seen our apps? 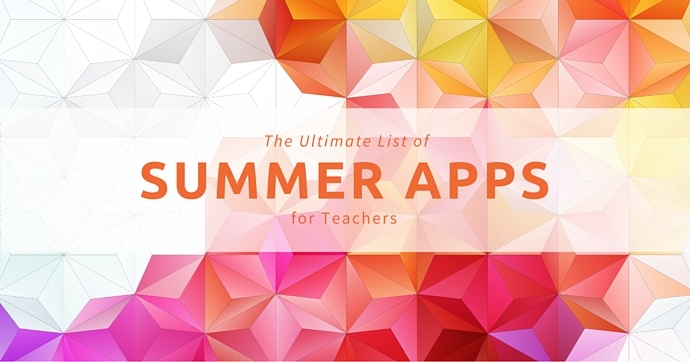 MasteryConnect has a whole collection of apps for educators—and they’re free! Get solutions for formative assessment, track student progress of state standards, or collaborate with 3 million educators who’ve already joined the community. Collect ’em all! And keep an eye out for Socrative PRO, launching this summer.